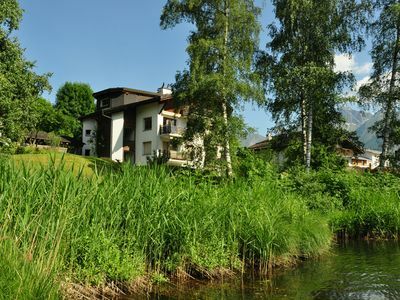 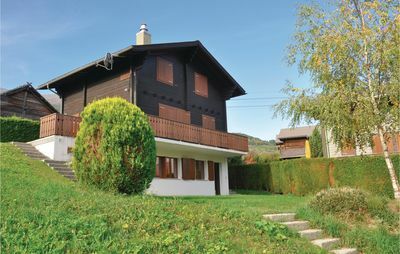 Apartment block is situated at one end of the main street in Les Collons 1800. 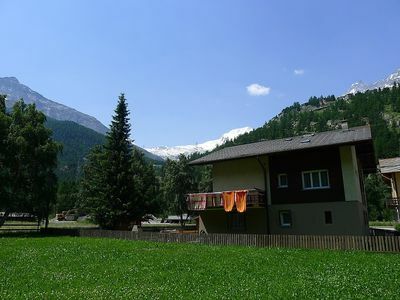 The Trabanta chair-lift and shuttle-bus stop are just across the street. 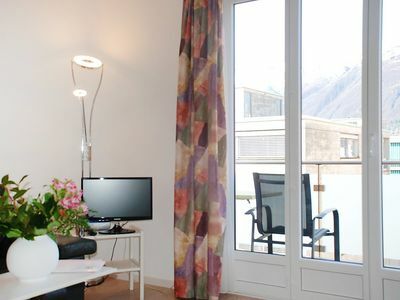 The apartment is part of a bright modern building with an excellent supermarket at street level. 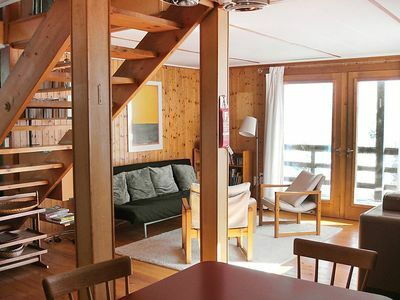 The apartment sleeps seven in three bedrooms. 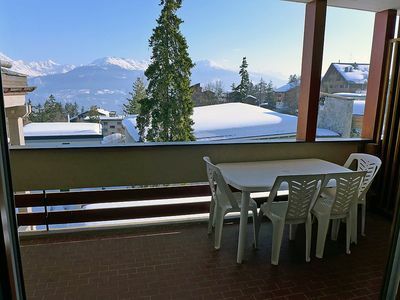 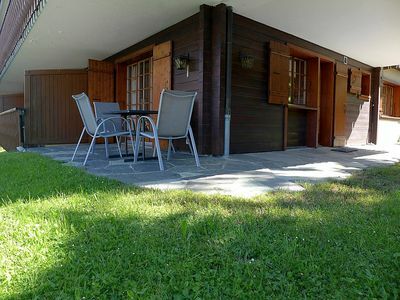 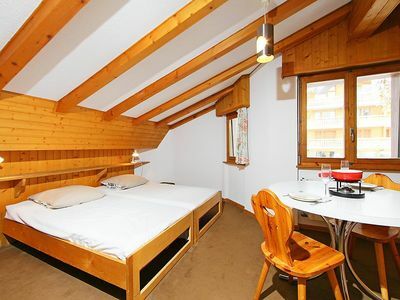 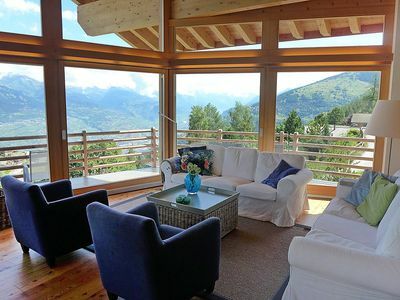 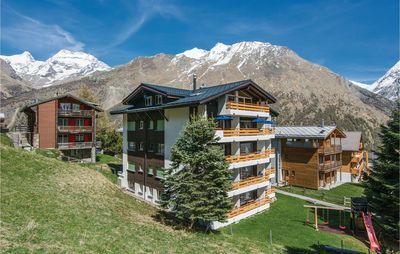 There are two balconies, with panoramic views from Crans-Montana in the north to Matterhorn in the south. 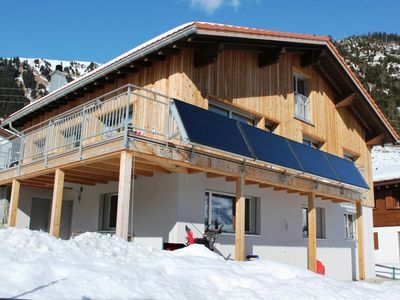 Underfloor heating is fitted through-out, ensuring a cosy return at the end of a days skiing. 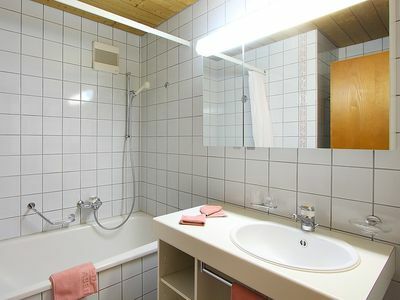 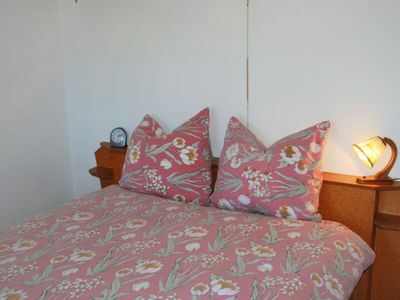 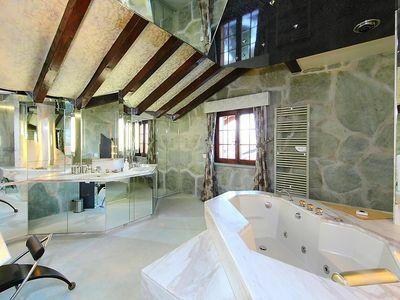 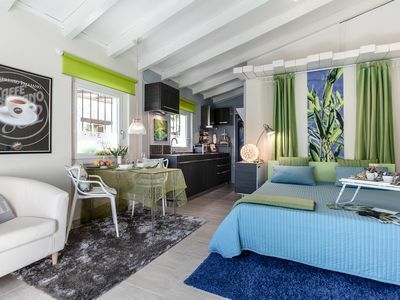 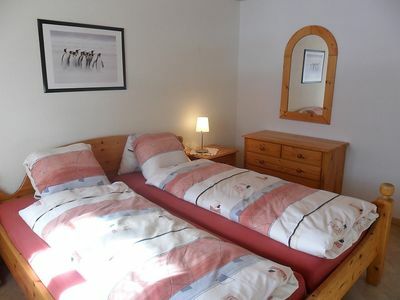 Unusually for a three-bedded apartment, there is both a bathroom and a shower-room. 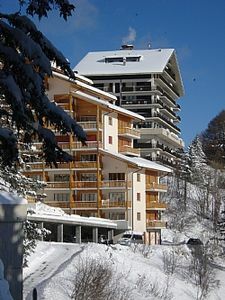 A ski-locker is available in the basement of the building. 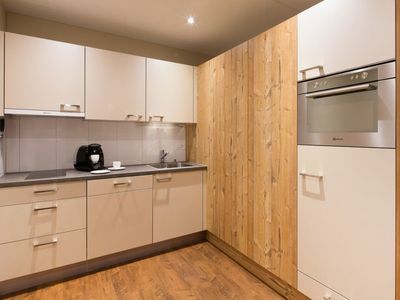 A communal laundry room is situated one floor above the apartment.